Peter Pan is an exaggerated stereotype of a boastful and careless boy. He claims greatness, even when such claims are questionable (such as congratulating himself when Wendy re-attaches his shadow). 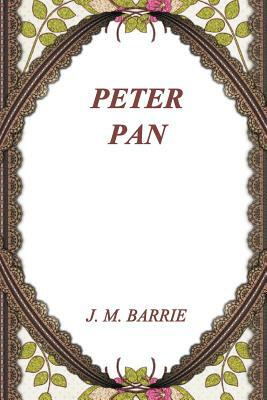 In the play and book, Peter symbolises the selfishness of childhood, and is portrayed as being forgetful and self-centred. Peter has a nonchalant, devil-may-care attitude, and is fearlessly cocky when it comes to putting himself in danger. Barrie writes that when Peter thought he was going to die on Marooners' Rock, he felt scared, yet he felt only one shudder. With this blithe attitude, he says, "To die will be an awfully big adventure." In the play, the unseen and unnamed narrator ponders what might have been if Peter had stayed with Wendy, so that his cry might have become, "To live would be an awfully big adventure ," "but he can never quite get the hang of it.